Germany has played an important role since it joined the World Bank Group on August 14, 1952. Along with the other members of the office, the Executive Director represents Germany in meetings at the World Bank and engages in direct consultations and negotiations with other Executive Officers in efforts to gain support for the World Bank's efforts in reducing poverty. Federal Minister of Economic Cooperation and Development, Dr. Gerd Müller and WBG-Executive Director, Ursula Müller at the first Humanitarian World Summit in Istanbul, Turkey, May 23-24, 2016. This edition: refugees and migration, Africa Climate Business Plan, visitors from Germany. It is a groundbreaking study which analyzes data to understand the scope of the challenge and articulates a development approach to resolving the crisis -- to help the displaced and their hosts rebuild their lives. The report was produced in close partnership with the United Nations High Commissioner for Refugees (UNHCR). Global economic growth will remain robust at 3.1 percent in 2018 before slowing gradually over the next two years. Ending poverty and stabilizing climate change will be two unprecedented global achievements and two major steps toward sustainable development. But the two objectives cannot be considered in isolation: they need to be jointly tackled through an integrated strategy. This book is about 24 developing countries that have embarked on the journey towards universal health coverage (UHC) following a bottom-up approach, with a special focus on the poor and vulnerable, through a systematic data collection that provides practical insights to policymakers and practitioners. RER is periodic publication of the World Bank Group and covers economic developments and prospects, as well as economic policies in the European Union. The new DataFinder app highlights the progress that's been made at the Bank since the Open Data Initiative was launched in April 2010. For the first time, the Bank's data are available to users on any of the three major mobile platforms - and in four languages. To permanently end poverty and hunger by 2030, the world needs a food system that can feed every person, every day, everywhere; that can raise real incomes of the poorest people; that can provide safe food and adequate nutrition; and that can better steward the world's natural resources. Why Does Equality of Opportunity Matter? The World Bank provides free and open access to a comprehensive set of development data in countries around the globe, including Mongolia. The German Executive Director represents Germany in the Executive Boards of the World Bank Group. They oversee and govern the business of the World Bank Group. Germany is the fourth largest shareholder following the United States, Japan, and China. The German Office represents the Federal Government and supports the Executive Director. It is also a contact point. Read more about the responsibilities and contact information of its staff. The Executive Director also serves as a member of the Committee on Development Effectiveness (pdf), as well as a member of the Human Resources Committee (pdf). Additionally, the Executive Director and the German office staff are involved in other Board Committees, including the Audit Committee (pdf), Budget Committee (pdf), and Committee on Governance and Administrative Matters (pdf), as well as informal sub-committees. They work together with the other 188 member countries' representatives to harmonize their positions on development efforts. 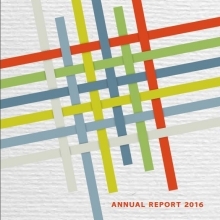 Every year in the fall, the German Office publishes an Annual Report (German) with an overview of the World Bank Group, its business activities, and aspects of particular interest for Germany. eBoard Extranet is a document system to view World Bank Group board documents (for registered users only). Find out what the Bank Group's branches are doing in Germany. Germany has been a member of the World Bank Group since 1952. It is the fourth largest shareholder following the United States, Japan, and China. As the German Governor, the Federal Minister for Economic Cooperation and Development represents the Federal Republic of Germany in the World Bank. The Alternate Governor for Germany is the Secretary of State for international finance from the Federal Ministry of Finance. All 188 Governors meet every spring and fall for the IMF and World Bank Spring and Annual Meetings. The Development Committee, composed of 25 Governors, assembles every year in fall and spring. The daily business is carried out on behalf of the Governors by 25 Directors of the Executive Boards. The Executive Director for Germany is appointed by the Federal Ministry for Economic Cooperation and Development, while the Federal Ministry of Finance appoints the Alternate Executive Director. See a detailed descripion of the organization and governance of the World Bank Group. Further information on Germany’s development policy is available on the English homepage of the Federal Ministry for Economic Cooperation and Development. See also the English website of the Federal Government of Germany. Provides an overview of the World Bank Group, its business activities, and aspects of particular interest for Germany. Every year the German Office publishes an Annual Report with an overview of the World Bank Group, its business activities, and aspects of particular interest for Germany.